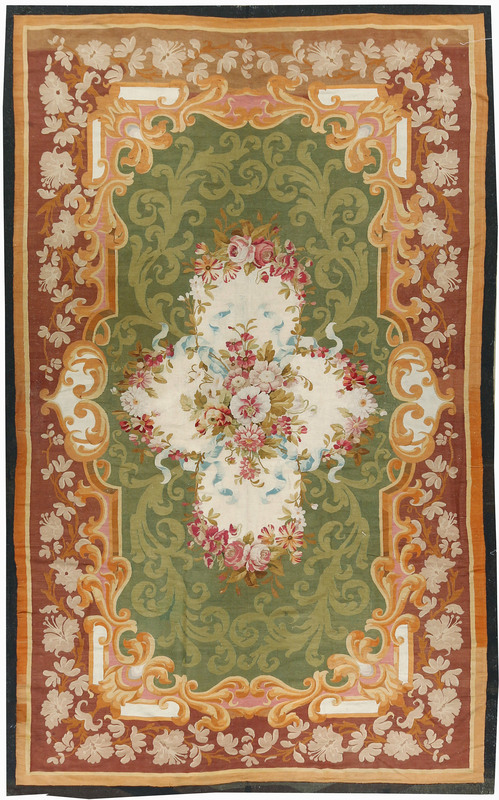 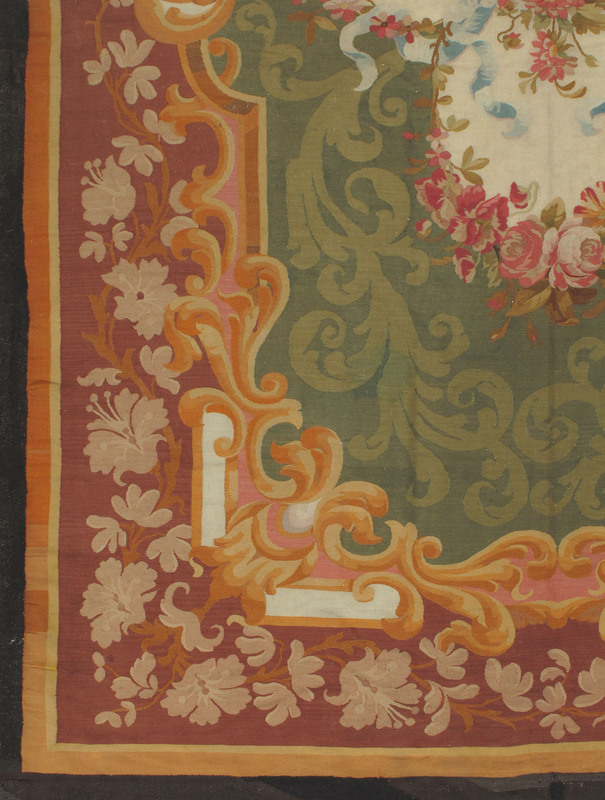 An antique circa 1850 French Aubusson rug. 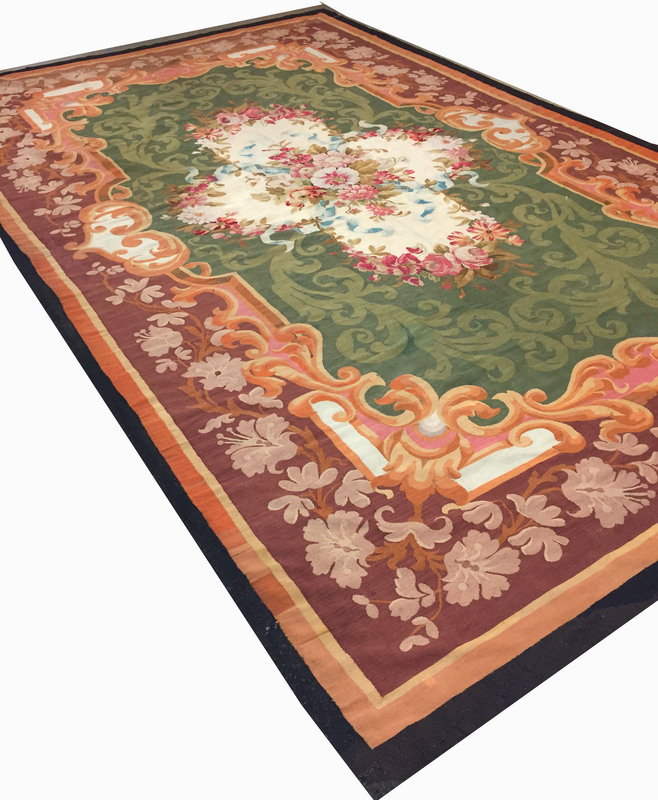 The central ivory medallion with wonderfully detailed floral emblems sits on a green field enclosed by a wonderful encroaching border. 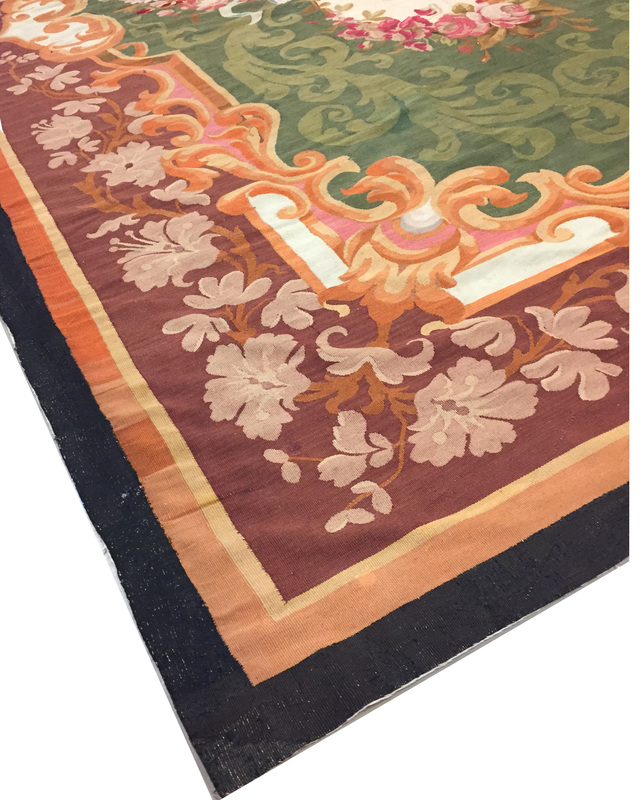 The Aubusson workshops, on the river Creuse in France, are famous for their antique European rugs, carpets and tapestries, woven since the 18th century. 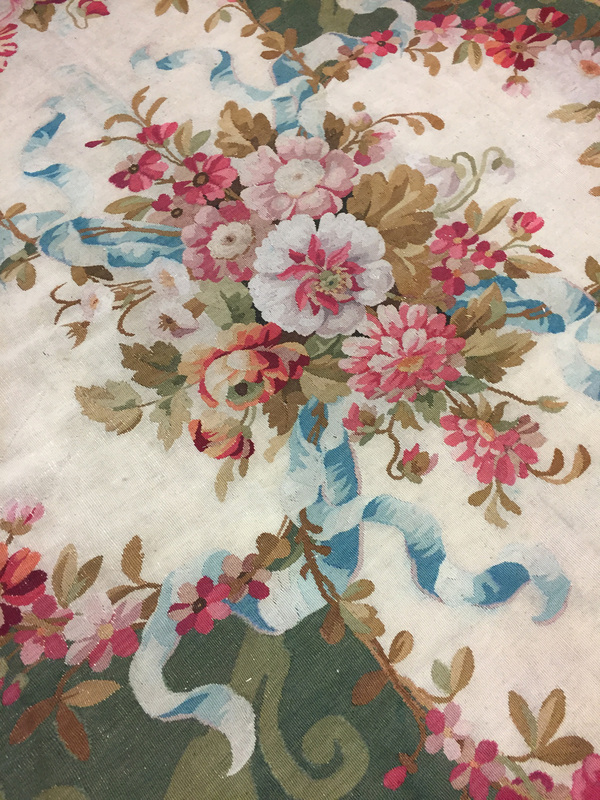 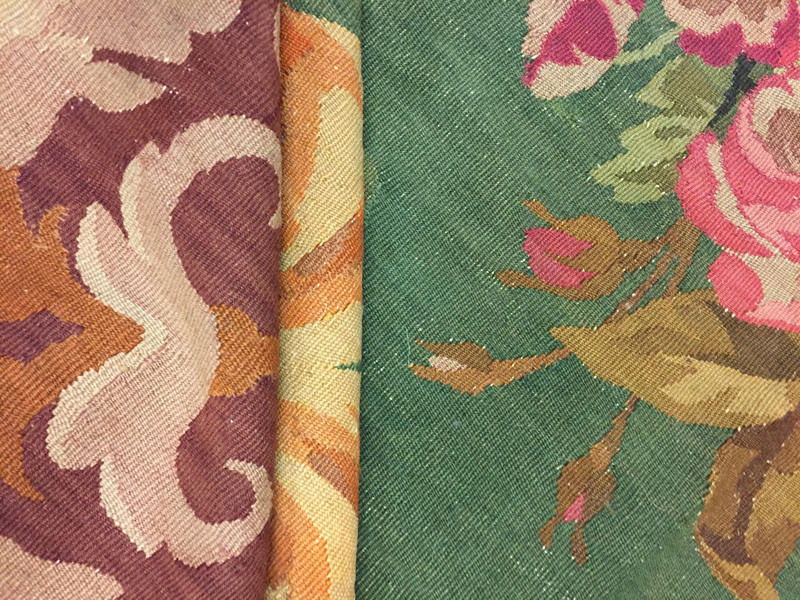 The Royal Council established a carpet factory there in 1743 and its production, both wall tapestries and flatwoven and pile rugs, was quickly taken up by the French aristocracy and by export markets as well.